GirlZombieAuthors: Lizzie Borden Found Not Guilty! Or Was She? Lizzie Borden Found Not Guilty! Or Was She? 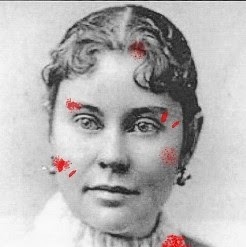 Lizzie Borden declared not guilty! See The Taunton, MA Gazette. But.... what if she was guilty? What if she committed the crime because her father and stepmother had become... zombies? See more info at my website. Labels: lizzie borden - not guilty?